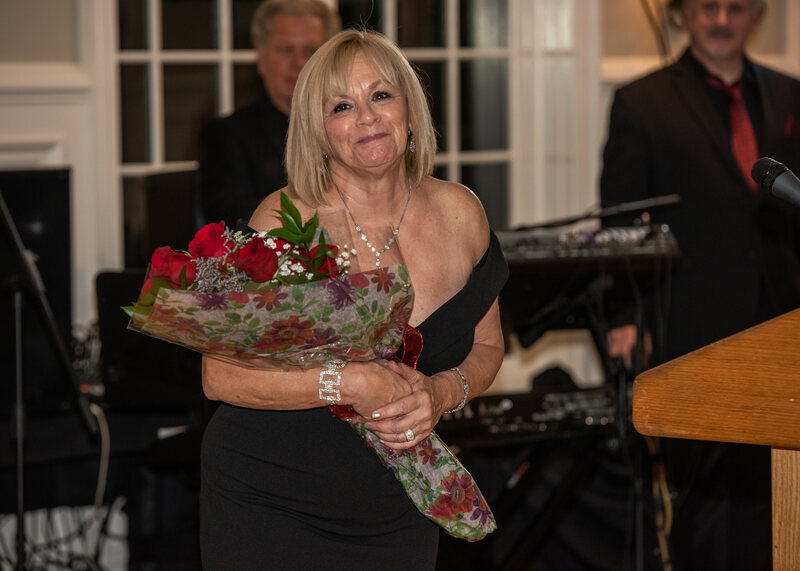 On Friday, October 12th supporters of CoveCare Center joined together at Salem Golf Club to celebrate the agency’s dedication to providing exceptional mental health and substance use prevention and treatment services to the community. The event included dinner, dancing to the music of Tony T Entertainment featuring The City Express Band, and a lively silent auction. 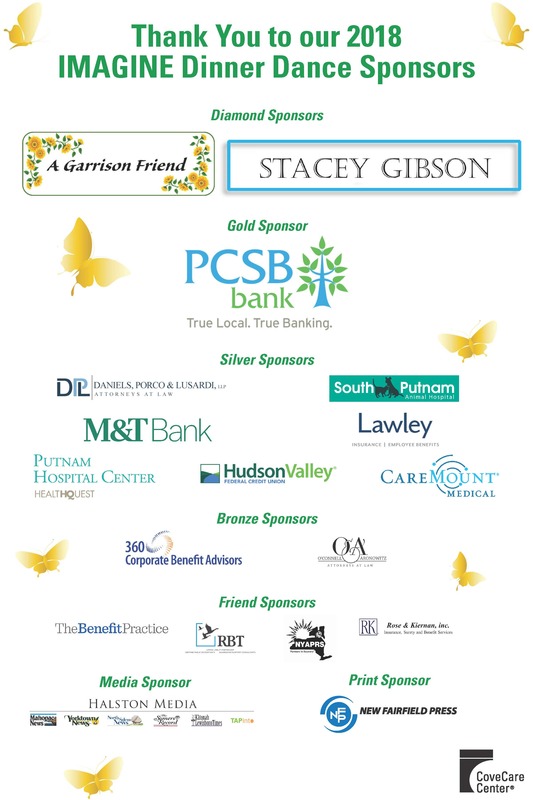 Proceeds from the event directly support CoveCare Center’s wide range of services and the agency’s ability to continue to offer accessible and affordable care to all in need in the lower Hudson Valley. 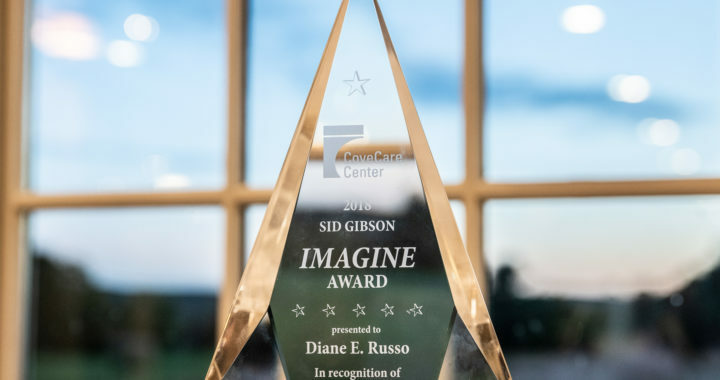 The esteemed Annual Sid Gibson Imagine Award was presented to CoveCare Center’s CEO, Diane E. Russo in honor of “A Life Dedicated to Service.” Sal Gambino, Board Chairperson for CoveCare Center, presented the award on behalf of CoveCare Center’s Board of Directors. 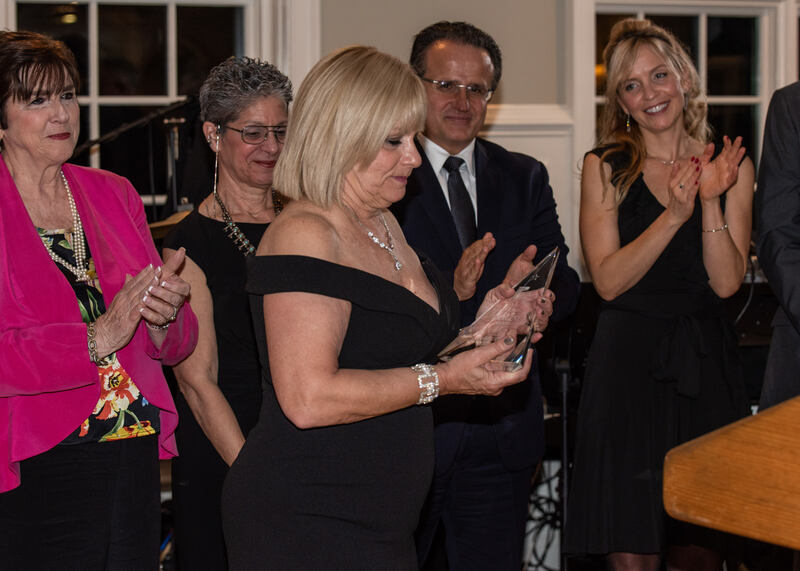 “I was so honored to receive the Imagine Award, an award bearing the name of a great friend and inspiration to all who are working to promote recovery. 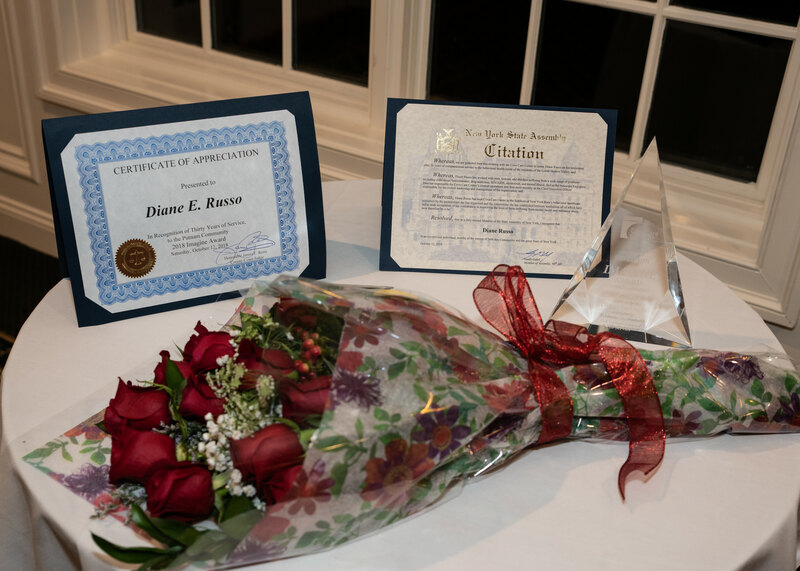 I am so thankful to my family, friends, staff, and partners in the community for their support throughout the years,” stated Ms. Russo. Michael J. Piazza, Jr., Commissioner of Putnam County’s Department of Social Services and Mental Health, shared many memories of collaborating with Ms. Russo and the partnership they formed while working together to help the people of Putnam County. 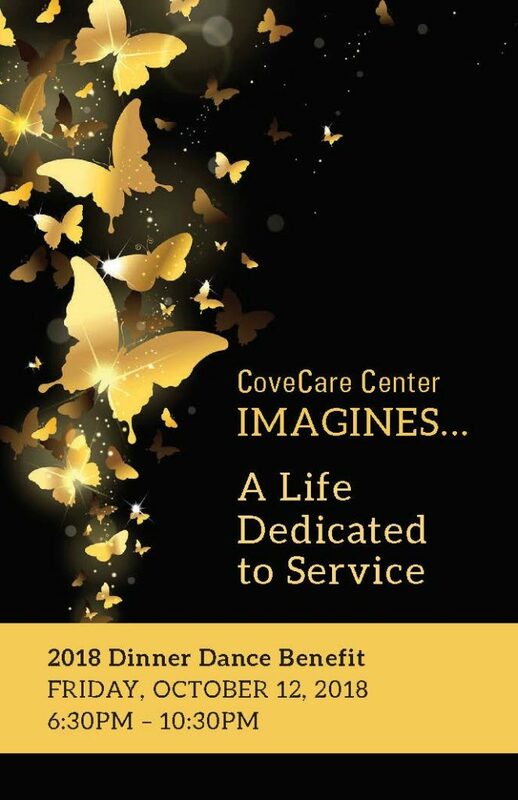 Thank you to our 2018 Dinner Dance Journal Advertisers!